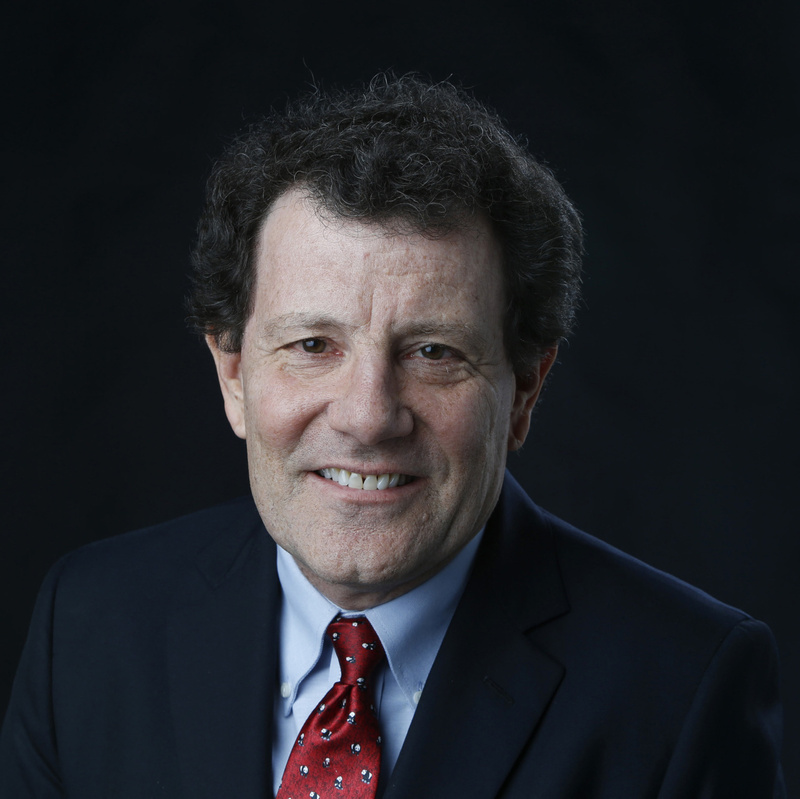 Nicholas Kristof is a two-time Pulitzer Prize winner whose op-ed columns appear twice a week in The New York Times. He is co-author, with his wife, Sheryl WuDunn, of four best-selling books, including the No. 1 N.Y. Times bestseller “Half the Sky.” He won his first Pulitzer as a foreign correspondent based in China, and his second for his columns from Darfur. He also has been editor of Sunday editions of the Times and has been a pioneer in using on-line media, with some 3 million followers on social media. He has lived on four continents, traveled to about 160 countries, and survived unpleasant encounters with mobs, malaria and an African airplane crash.